1st N Weight Loss wants to challenge you to get FIT FOR FALL Challenge, starting August 27th, thru September 19th, 2018! We have done all the work for you…at-least some of it. After doing our research, we have identified some of the best exercises to strengthen your legs, arms and core muscles! We have videos that demonstrate the correct way to perform each strengthening exercise. Follow the 1st N Weight Loss "FIT FOR FALL" calendar and the links within to get an amazing body that will take you into the remainder of summer, and the upcoming Holiday season! ***note repeat the below schedule 4 to 6 weeks, while maintaining a well balanced low-calorie diet. Swim Day at the local "YMCA"
This post is meant for educational purposes only. It is not intended to replace medical advice from your physician, doctor or health care professional. *These statements have not been evaluated by the Food and Drug Administration. These products are not intended to diagnose, treat, cure or prevent any disease. The problem for the non-finisher. People who don't finish never learn to fight. They never learn to stick it out. They never learn to overcome challenges. Most of all, they never learn what they are capable of. They never give themselves a chance to prove to themselves that they can overcome odds and that they can rise above it all. So they never develop the grit, the perseverance, and the self-confidence to know they can take tough situations and make them better. They don’t do everything that can be done to fix the problems they are facing.Instead they decide not finishing is their best option. They give up on their dream. They give up on their teams. It’s one thing to leave, or quit something when you’ve done everything in your power to change it and it still doesn’t work out, or to leave someone when they aren’t willing to work with you to create a better future. But it’s completely different to just give up on something because it is hard. Today is your day, to become a finisher. If you really want to overcome your weight loss obstacle, pledge to become a finisher today, and take your first step toward achieving your weight loss goals. The Chinese have known about Green tea as a powerful medication for at least 4000 years. According to legend, tea was discovered by a Chinese emperor called Shen Nung. Some tea leaves accidentally fell into boiling water, and he tried it and found it invigorating. Green tea became part of the Chinese diet and many important health benefits were attributed to it. Now recent medical studies in both Asia and the west are providing a scientific basis for the claim that drinking green tea has very significant health benefits. 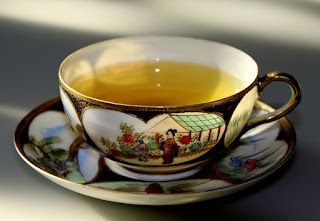 Green tea, like black tea is made from the leaves of the plant Camellia sinensis. The difference between the three main types of tea is the way that they are produced. Green tea is unfermented tea meaning that the leaves used for green tea are steamed soon after been plucked in order to prevent the oxidation of the leaves. In this way the leaves remain green and the active substances within the leaves retain their qualities. Black teas on the other hand are made from fermented leaves and as a result have less nutritional and enzyme content as the green tea. Thus green and black teas have different chemical properties. Modern science has in recent times been able to demonstrate that green tea is beneficial to one's health and this is mainly due to the fact that tea contains high levels of antioxidants called polyphenols or flavonoids. The antioxidant activity of tea has been compared to that of fruit and vegetables in a number of studies. One study concluded that consuming three cups of tea a day produced a similar amount of antioxidants as eating six apples. Antioxidants help your body fight against free radicals which cause damage to cells and tissues in your body. Weight loss is another area that is attracting huge attention. Recently published research in the American Journal of Clinical Nutrition suggests that an extract from green tea may speed up fat oxidation. A study was conducted of ten healthy men over a period of 6 weeks. It was discovered that those men who were given green tea extract burned more calories per day than those who were not given the extract. Much more research needs to be conducted in this area but the signs are certainly very encouraging. The U.S. Department of Agriculture (USDA) dietary guidelines has identified sugar as a part of our diet we should limit, prompted by an overwhelmingly amount of evidence that proves high-sugar foods, such as sports drinks, cookies and soft drinks, not only lead to weight gain, but they often replace the foods that really need to be eaten each day to survive and thrive. If you eat a healthy diet and meet your nutritional needs on most days, you can still enjoy guilty pleasures like a sweet dessert or an occasional sugary soda. But, keep in mind, that no matter what form of sugar you eat - from Gummi Bears to Wheaties - carbohydrates (sugars) contain 4 calories per gram, they break down to simple sugars during digestion (except for fiber which is indigestible) and are either used for immediate energy, or stored as fat! While you need sugars in your body to keep it running, you should pick sugars that come in the form of nutrient-rich starches like whole grains. You should also eat plenty of vegetables - which do contain sugars, but do contain an abundance of valuable vitamins, minerals, and disease-fighting chemicals. The kind of sugar that you should stay away from is added sugar (the sweeteners that are dumped into foods by manufacturers). Added sugar is causing increasing concern because consumption of this diet-buster has risen more than 30 percent in the last two decades, with Americans now gobbling up a whopping 64 pounds of this fattening substance each year! According to the USDA, 20 percent or more of the daily calories for nearly one-quarter of adult women come from sugar, making it the culprit of weight- gain and diet disasters nationwide, not to mention that fact that it's part of the cause of diseases like breast cancer. Eliminate all soft drinks and fruit-flavored beverages, which are considered one of the biggest sources of added sugar in the diet. Instead, regularly opt for water, seltzer flavored with lemon or lime, flavored waters. Check food labels of packaged food with claims of low fat or fat free, as they have as much, and oftentimes even more sugar, than the full-fat version. Additional sugar is often used to replace the taste of fat, so when fat is decreased or eliminated, sugar is often substituted. Learn to spot this on food packages, and to avoid the contents! Avoid all white flours, substituting whole grains that pack nutritional value. This means staying away from white pastas, breads, biscuits, cakes, cookies, etc. Learn to spot sugar aliases. If dextrose, fructose, maltose, or malt syrup. If sucrose or corn syrup appears first or second in the ingredient list, the food is very high in sugar. When eating out, order fresh fruit for dessert rather than that cake your friends are eating. Pass up sweetened yogurts (they can contain as much as 7 teaspoons of added sugar). Instead, choose a no-sugar variety. Buy breakfast cereals with no more than 8 grams of sugar per serving. Pair these practices with drinking 8-10 glasses of water a day, eating 3 small meals and 2 snacks each day, eating a diet high in vegetables, medium in protein and with the right fats added, then you're on your way to a new you! And, don't forget to be active every day. These are all key to enhancing your metabolism, changing your lifestyle, and improving your body, and, perhaps more importantly, a healthy, balanced diet with daily exercise will help keep you feeling good, will help you live longer, and will turn back your body's aging clock! Everybody knows the importance to being fit. Your level of fitness is a major factor in your lifespan, and getting in shape should be a priority. There are plenty of celebrities, whether qualified or not, offering to sell you their latest fitness video or book, and more and more articles in newspapers and magazines about the cost of not having a daily workout; the impact on your health, the social effects of being unfit, and of course the fact that most fashionable clothes don't come in plus sizes. Getting fit should be on your to-do list all year round, and not just a New Year resolution that does not make it past the first few days of January. It is easy to start a fitness regime, and then run out of enthusiasm. With a busy work schedule, and an equally busy social life, it's a common enough occurrence that people drop out of exercising on the basis that they don't have enough time. The most obvious answer to this, and something that most fitness instructors will suggest, is just to get out of bed a bit earlier, and use that time to exercise. Of course, to some this may seem like a nightmare, and not something to inspire them; night owls should look for something to do in the evening, perhaps a late workout session at the gym, or installing some home exercise equipment so that you can watch TV at the same time as working out. Not everyone is suited to a traditional fitness regime of steps and dance. You might find it rewarding to try other methods to keep fit, such as martial arts. It is not important how you get fit: only the results matter. If you find that you enjoy fencing, for example, then that will extend your enthusiasm for your fitness regime. Doing something that you hate, or which you feel stupid doing, won't last very long. Keep your enthusiasm up in other ways, by working out to your favorite tracks, or by keeping a log of how well you've done. You can work out with a friend and have a competition; or you can set yourself goals in your fitness regime, and reward yourself when you achieve them. Fitness should be something that you work towards for all of your life, and a daily exercise routine will certainly help you achieve that goal. Even if your exercising consists of a short run everyday, and you never end up with a full six-pack, that does not matter. Fitness is not about getting the perfect body, it is about a general physical state where you feel more energetic, and you feel good about the way your body looks and works. In today's age and world, being slim, shapely, possessing ripped abdominal muscles and toned arms seems to be the aim of a vast majority of the people you see spending tons of hours working out at gyms. These same people spend loads of money on the new weight-loss pill or supplement guaranteed to make you eat less and increase your metabolism...' and in spite of whatever side effects the product may contain, the average Joe, still thinks this quick fix will be worth the risk. In truth, some of these people have luck with these efforts, and yes they possess the ever so ripped and toned muscles we as a society admire so much. However, the fact that needs to be accepted and pondered upon thoroughly is: Whatever is not built on a proper foundation will eventually crumble! Most fitness experts will tell you that bodybuilders atrophy will wear down prematurely sooner or later, because these muscles that were blown up with unnatural substances have a tendency to pretty much deflate. Moreover, ripped muscles and demonstrated feats of strength DO NOT depict proper and optimal health. There is a saying that is known to every culture which goes like this: you are what you eat...What you eat plays arguably the most important role on your overall health and fitness, thus PROPER DIET should be the most important factor for any and every person seeking better health. What then should one eat? In a nut-shell: yes as boring as it may sound- Fruits and Vegetables. 1. Providing the alkaline reserves in the body for balancing chemical metabolism within. 2. 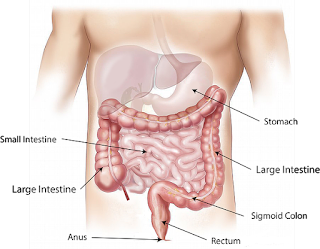 Cleansing the digestive and excretory tract as they act as the much needed intestinal broom to sweep these 'pipes' (as you may call them) clean to function properly in their duties of nourishing and cleansing the body. 3. Keeping the body fit, trim and in shape WITHOUT the unwanted side effects of toxic and artificial substances such as pills and supplements. Sure, it is a great feeling to be able to see the awesome cuts in your abs and arms when you look in the mirror, but feeling good on the inside as well and knowing that you are thoroughly cleansed internally should be of just as much importance as getting ripped. As I stated in one of my previous articles, a quick and sure-fire method of attaining internal cleanliness and the added bonus of healthy weight-loss will be to undergo a fast. There are several methods of this tried and true method of healing and although it is covered to a degree in the free resources section of my website, you can always do some research on this radical; yet extremely effective method of internal purification and weight loss. In conclusion, the cleaner you are on the inside and the freer you are of toxicity the quicker you can and will attain your goal of being in shape.